Minecraft has become arguably one of the most popular games in history. This is evident not only with gaming communities but also among educators. If you're not familiar with Minecraft, imagine a Lego-meets-SimCity stylized world with your only limit being your creativity. Why is it so popular? Minecraft is not so much a game as it is a sandbox experience. You create things that function in a virtual world to help you survive and thrive against elements and random foes. Critical thinking skills and goal-setting are tantamount to being successful. Because of these thinking processes, educators have grabbed hold of Minecraft’s popularity, including it in their classrooms to teach these valuable skills. To that end, an off-shoot of the original Minecraft was created, and MinecraftEdu was born. It is tailored to the education community, offering more control settings and ways to customize the play environment to your educational goals. Probably the best way to get some hands-on advice about this terrific game is to get some real live help from a 12 year old expert! Or take a class along with your colleagues to explore together and brainstorm ways that Minecraft can be used in the classroom. But what are the first steps? Minecraft in the Classroom—Where to Start? The only way you can check out for free is to use the demo of regular Minecraft for 100 minutes. The demo is easy to install and only takes a few minutes. Demo installed—check. Now what to do? If you’ve got a lot of time, which we know you do (wink), you can just explore as if you’re a child in a sandbox. Get to know the controls, the procedures. Here’s some online help. Minecraft in the Classroom—Who's Done It? Here are some shining examples of how innovative educators are employing Minecraft in the classroom. 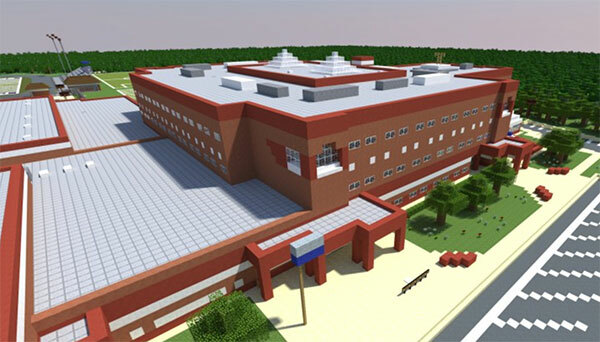 Take a page from the playbook of the kids at Marriots Ridge High School who are using Minecraft to replicate their own school. This awakens so many inquiry strategies, it’s hard to miss. Students have to come with a plan, measure out rooms, determine each room’s purpose, and then furnish the rooms. The skill of seeing the big picture and then implementing it on a small scale is a valuable tool in architecture, as well as understanding how the world works in general. 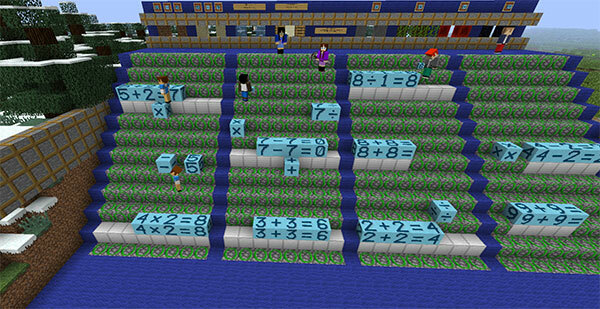 Minecraft educator Mike Harvey went so far as to make a world of exploration and treasure hunting for his students, using various mathematical concepts. Imagine doing this for your classes! Hide treasure with tasks that need to be solved through adventure. The process of finding answers can be collaborative as students help each other in this virtual scavenger hunt. Employ Minecraft to hone student skills like collaboration, teamwork, creativity, innovation, mathematical understanding, leadership, peer learning, and more. Kerilee Beasley makes a solid case for "misunderstood minecraft" in this article on her blog. How Will YOU Use Minecraft in the Classroom? Minecraft is now making accessible what gamers have known all along—that gaming can serve as a rewarding learning vehicle, and is a great way to get even the most difficult child engaged. One needs to suspend any bias against using “video games” in school. If you have fears of children lost in sim worlds and not in the real world, gazing in front of computers not communicating, you should know that students can collaborate and work together within a virtual environment. You don’t just rid yourself of teaching responsibilities and let them play online; you have to craft your learning environment as you explore and use ones that others have made up. The idea of teacher as facilitator becomes more apparent here. As they do immerse themselves in the virtual world, you are walking around seeing what they are doing, engaging them with guiding questions. It’s a brave new world. Enjoy!